Starlings was created to help young people ease into their leadership potential. 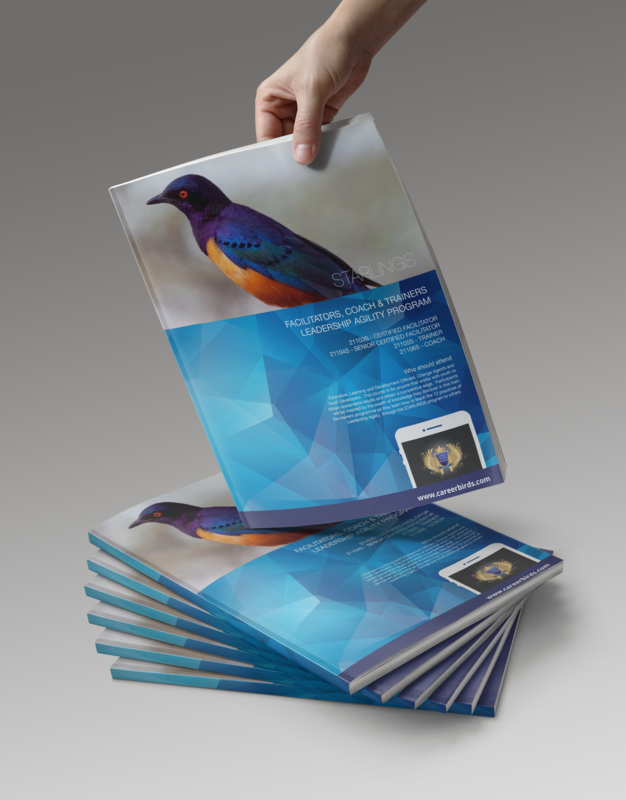 The Starling bird was chosen to align the content of the program with an easily recognizable bird that attunes to the idea of building a strong foundation for their leadership practices. The program gives the participant the strength and direction for objectives they want to achieve by tackling their ambitions and building a strategy for success. By aligning their potential to the practices in a SWOT analysis, participants gain a voice for communication to a variety of people. This insightful journey facilitates learning and development for the participant who gains a depth of understanding of their limitations and strengths in the real world. The Starlings program takes the idea of celebrity to the 12 practices of leadership so that it is easily digested by youth culture who identify with celebrity in their every day lives. By sharing how potential role models align with the 12 practices students get to formulate their own. As most young people have limited experience this program teaches a subset of the process of personal development and leadership potential that can be built upon and expanded through experience. Over 50 years of academic research and management practice (Aitken & Higgs, 2010), has provided evidence (see the comprehensive list of readings below) for the critical importance of 12 leadership agility practices which build ‘sustainable’ leadership and enterprises in a constantly evolving work, home and community environment. When practiced over time in all spheres of life, this results in you ‘mastering leadership agility’. As part of your evaluation process you will be asked to present certain sections of the Starlings program to a panel of Trainers, Coaches, Masters and Mentors in a Skype interview. This program will be presented by randomly selecting certain slides for you to deliver by the panel. If your course is conducted in a group setting depending on the availability and geographic location of your assessors you will be asked to present alongside other participants.